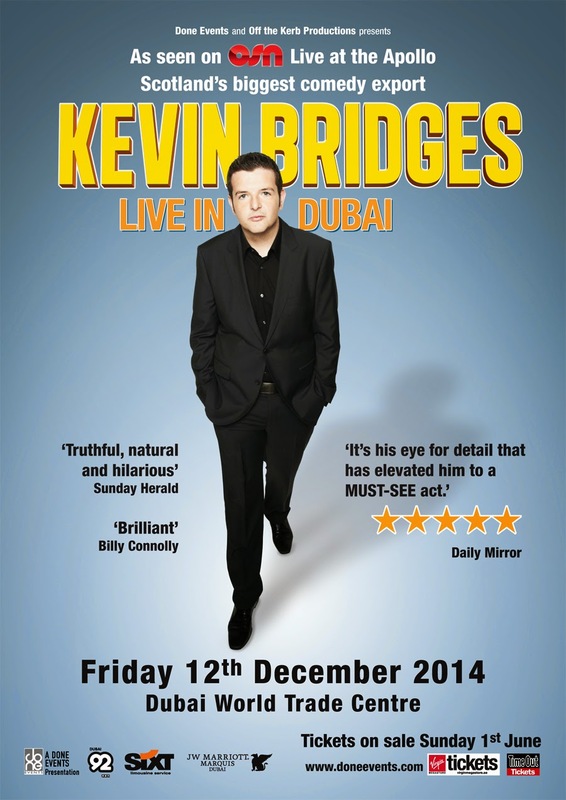 Tickets have gone on sale for Kevin Bridges debut solo show in Dubai at the World Trade Centre. The show will be taking place on Friday 12th December 2014. Kevin said ahead of his appearance "Im looking forward to coming back to Dubai, I performed here 6 years ago when I was on the comedy circuit so it'll be great to come back playing a theatre and with my own solo show." Tickets are now on sale from www.doneevents.com and all Virgin Megsatores.